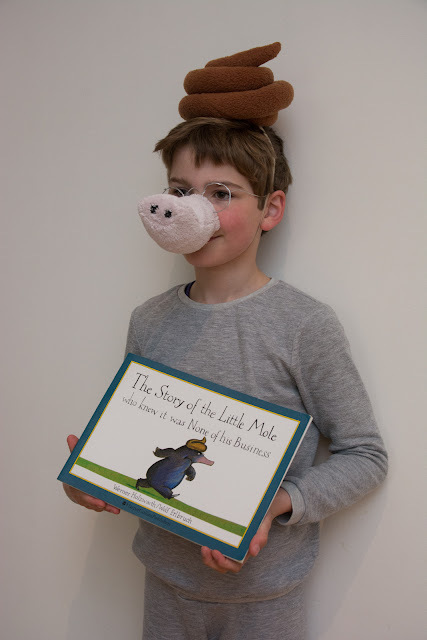 The book is the delightful "The Story of the Little Mole who knew it was None of his Business" (Aus publisher link) by Wolf Elbruch and Werner Holzwarth, which is 25 years old this year. 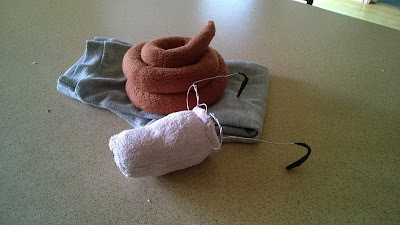 The poo was constructed in much the same way as the last one, only slightly bigger this time : A 4" wide strip maybe a metre long. I'm rather proud of my snout! I use some leftover fleece from an old nappy change table cover and just drew a long top section then a semi ellipse end and a curved bottom bit. The three sections were stitched together then lightly stuffed. At the open end I inserted a single section from an egg carton, wrapped the fabric around the edge of the egg carton and then roughly handstitched through all layers of fabric and cardboard to finish it. The snout is then handstitched to the bent wire glasses. They've got some black plumbing tape over the ear ends to make them bearable to wear. I cracked myself up in making it and had to try it on! 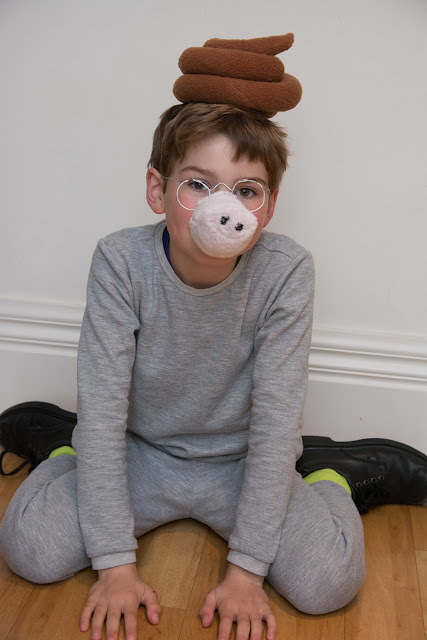 To finish the Mole look, P wore his grey tracksuit (which are normally used as pajamas - shh don't tell) which I'd made last year when he needed to be an elephant! He made such a long, lean looking mole, I almost wished I'd made a darker grey "fat suit" to give him a more distinguished, portly mole shape! She wears her pale blue dress with the big white bow, her white petticoat, her second-best pair of navy blue knickers, her pink socks with the blue frill, her gloves, her wide brimmed hat with the daisies on it, her long gold chain and a pair of shiny black shoes. Those shoes go "tap, tap, tap" as she walks along and from then on, my little girl was sold on the idea of "tappy black shoes" Yay! The book is very 1980's and while I was keen on the drop waist I wasn't about to copy the poofy sleeves or try and recreate the original exactly. 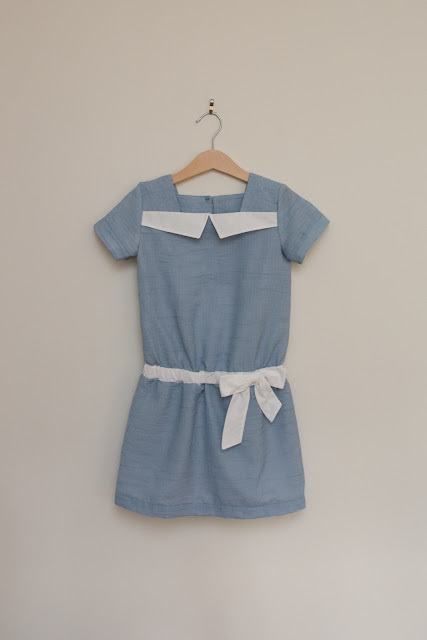 The Croquet Dress by Oliver + S seemed a perfect pattern. 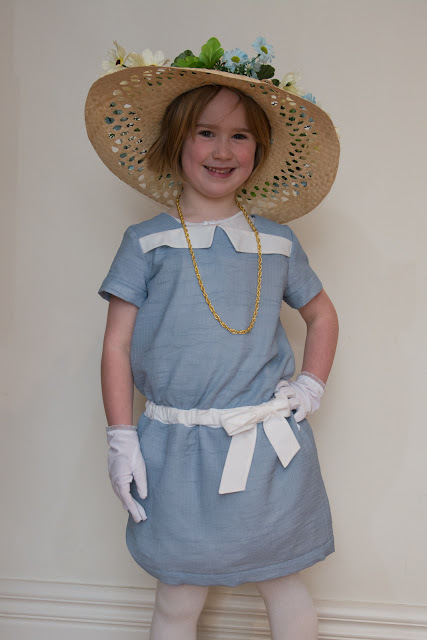 It's a bit retro, has a bow and a collar, and I hadn't sewn it for ages and was keen to have another go. Because it's see through, I underlined all the pieces with a lightweight cotton batiste. So much for knocking out a quick dress for a costume! The collar and elastic casing/bow are done with a quilting cotton weight fabric, of which there was just enough. This is such a lovely dress to sew. The way the yokes are sewn together is very clever and with nice facings the insides are really pretty too. I've sewn a size 5 with maybe 2" added to the skirt length. The hat, gloves, fake flowers and gold chain all came from a local "variety shop". 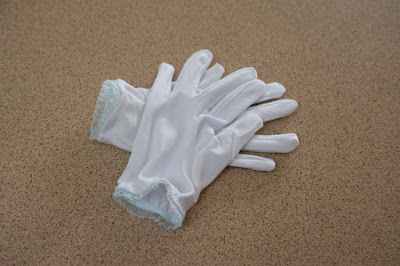 I shortened the gloves and added a blue frill with some frilled elastic I'd found at Eliza Fabrics (I complimented the lady on her wonderful shop and how she had everything I'd needed and still couldn't crack a smile from her). Another bit of elastic also went around the tops of some pale pink socks. The petticoat was an invention that worked as well as I'd hoped. I used my overlocker to gather some long strips of tulle. 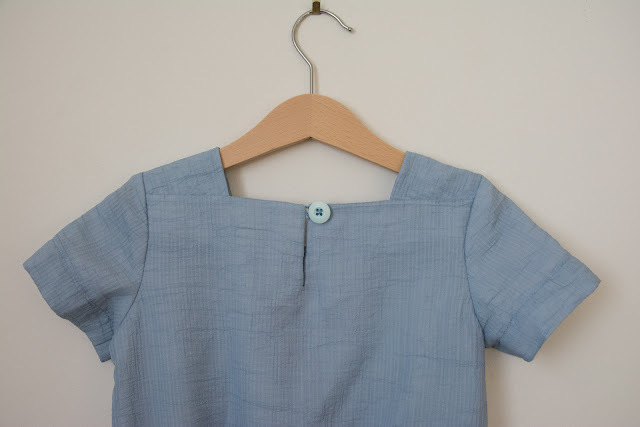 I'd never done that before but the instructions were pretty simple, and I didn't even bother joining the strips at theirs short ends, just overlapped them slightly and kept feeding them into the overlocker. 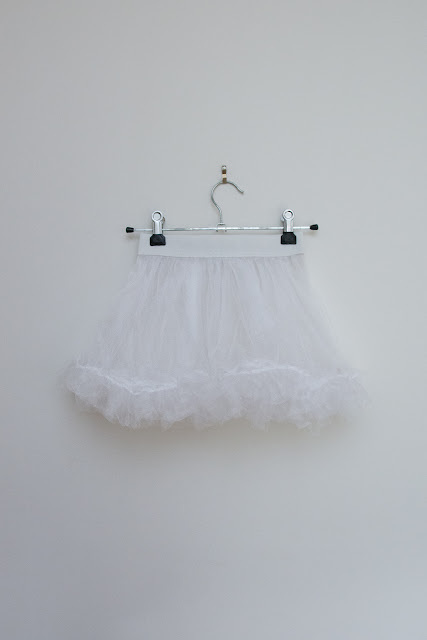 Once I had a giant, long gathered ruffle ready, I stitched it onto the bottom of three rectangular "skirt" layers. Then gathered all of them at the top and then sandwiched them inside some super wide elastic and ziz-zagged stitched the whole thing together. Finally, the navy blue knickers. Both kids helpfully pointed out that if I was making a pair of "second-best" navy blue knickers then naturally, I would have to make a better pair which would be the "best pair"... I'll leave you to imagine what I told them. 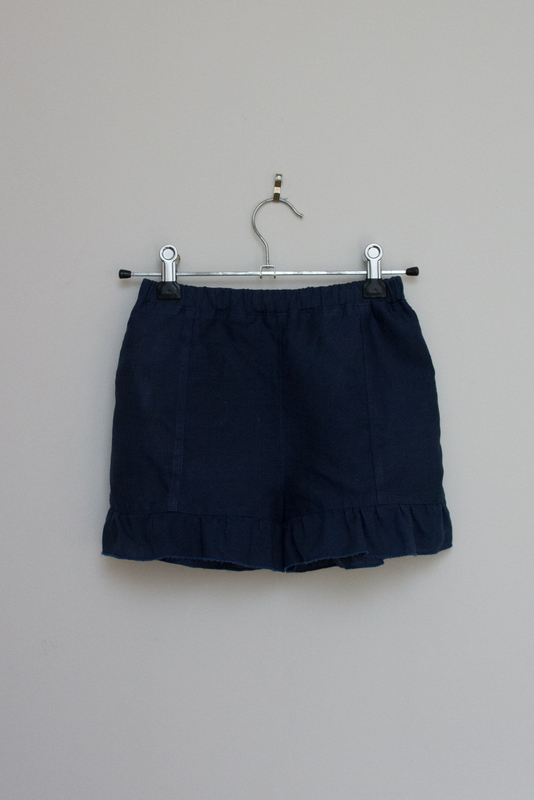 I used a japanese pattern which is part of a skort (made previously here), making just the undershorts. In using up the very last of some navy linen I had to seam the front panels in order to have enough fabric. Also, instead of hemming the bottom frills and ending up with them too narrow I did a rolled hem on the overlocker. These are size 130cm just because that's what was already traced. They're pretty loose and will hopefully make nice, lightweight summer shorts for a few years to come. Wow! I am so impressed with the details in these great costumes. Yow have made wonderful lasting memories for your children. Great costumes, you did well. You are simply not buying enough fabric, she smiles at me! Both are highly recommended Jenya! Fantastic costumes Shelley - I love both of them. 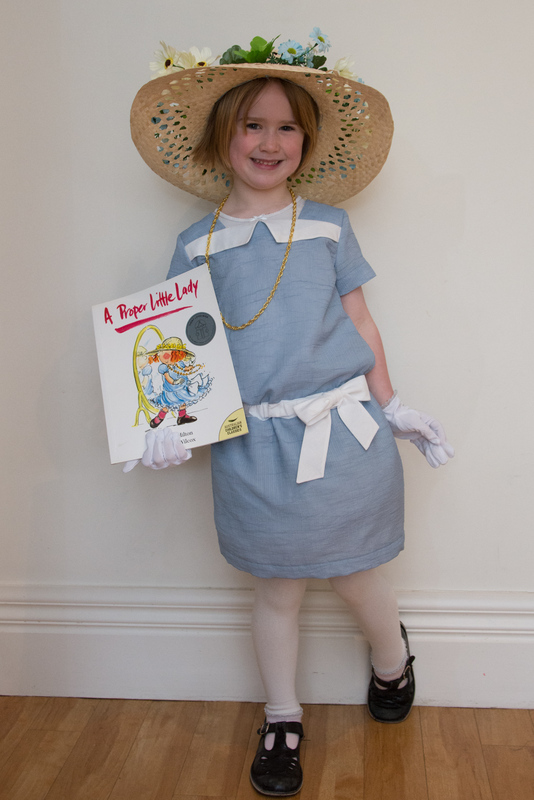 The croquet dress will, I'm sure, be worn many times, and the mole ensemble is just too good for words! I'd love to wear that poo to the school where I work next time a book costume is called for, but I'm pretty sure it would result in a learning-free day of laughs and giggles... (which I thoroughly approve of, but don't tell my boss!). I'm sure P would lend it to you! 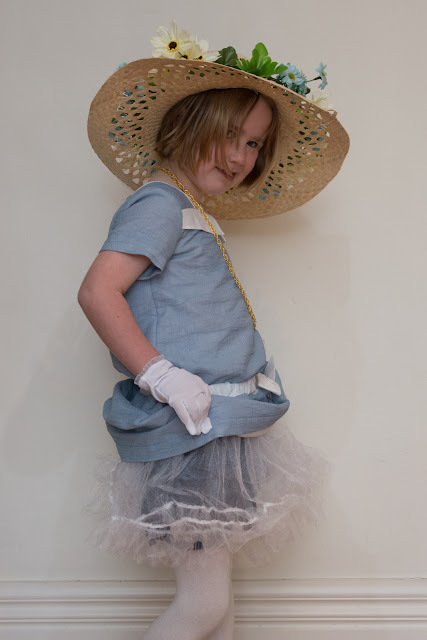 I hope the croquet dress gets worn, but she is thoroughly spoilt for fancy dresses at present. Ohhh man! You totally nailed it! Mom of the year award all the way! So was everyone at their school in awe of you? You are so amazing both outfits are perfect. Oh these are AWESOME! You have such lucky kids! I really love that Croquet Dress in its own right, as well as the navy blue knickers and petticoats! 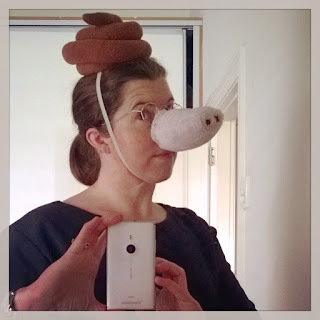 And the mole costume is TDF. 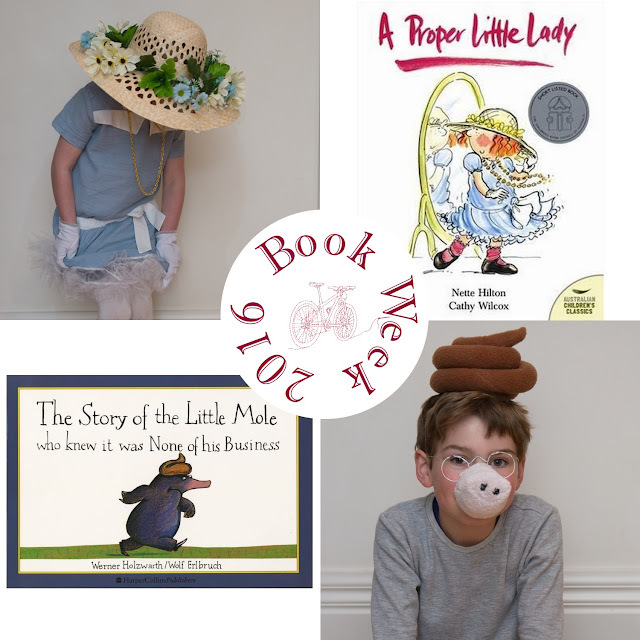 Did they have a good book day? They had a great day thanks Inder. At least this year I had paid some slight attention to the weather. 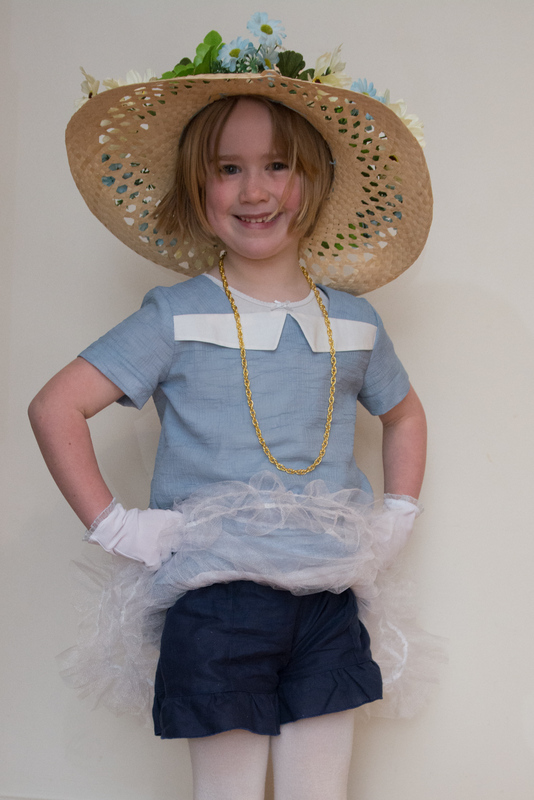 I remember last time sending P off in his caribbean-esque Tom the Cabin Boy outfit into a freezing wintery day. We need to do Nanook of the North next year I think. Then there's guaranteed to be an early heatwave! KCW: Mermaids on roller skates!